The fish became a symbol for Christians in the early days of the post-apostolic church and is still used today, particularly in the United States. The initial letters of each word in the Greek phrase "Jesus Christ, Son of God, Savior" form the word ICHTHUS, which means "fish." 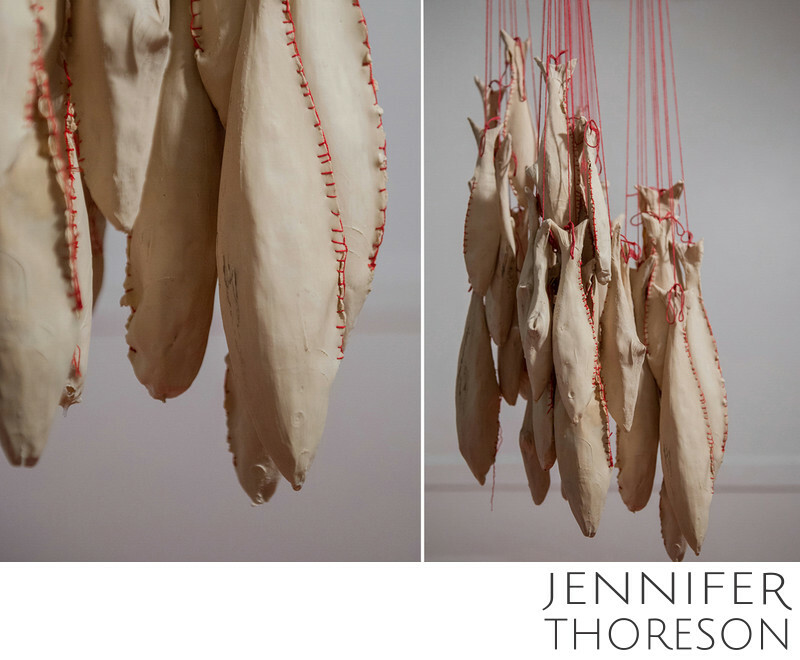 For the exhibition, each fish was filled with water, slowly dripping from a tiny puncture in the mouth of the fish. Biblically, water is used in the sacrament of Baptism, and represents purity and transformation. The water created a dark spot on the red cloth below, reminiscent of menstrual blood, or blood following a birth. The installation is a picture of clear water turned to blood stain, blamelessness turned to blemish.